Dominance. Absolute dominance. 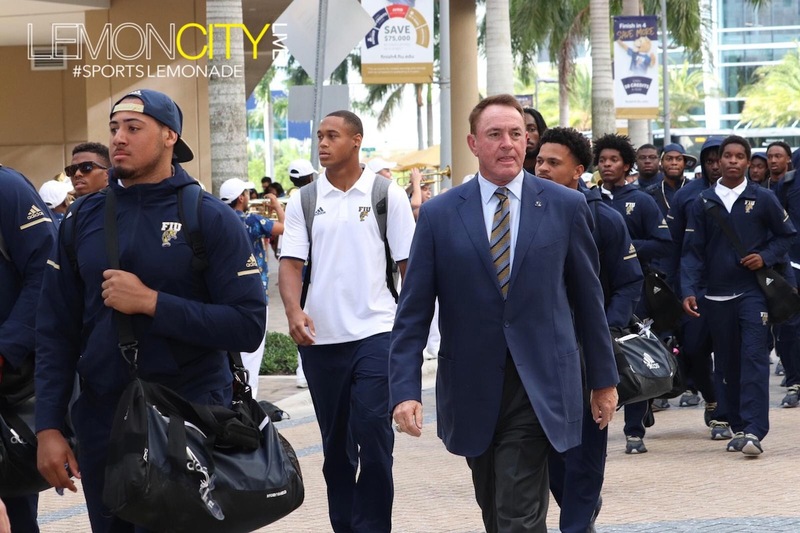 The FIU Panthers (2-2, 1-0 C-USA) feasted after being served up a gigantic cupcake this weekend, pummeling the Arkansas-Pine Bluff Golden Lions (1-3, 0-1 SWAC) 55-9. 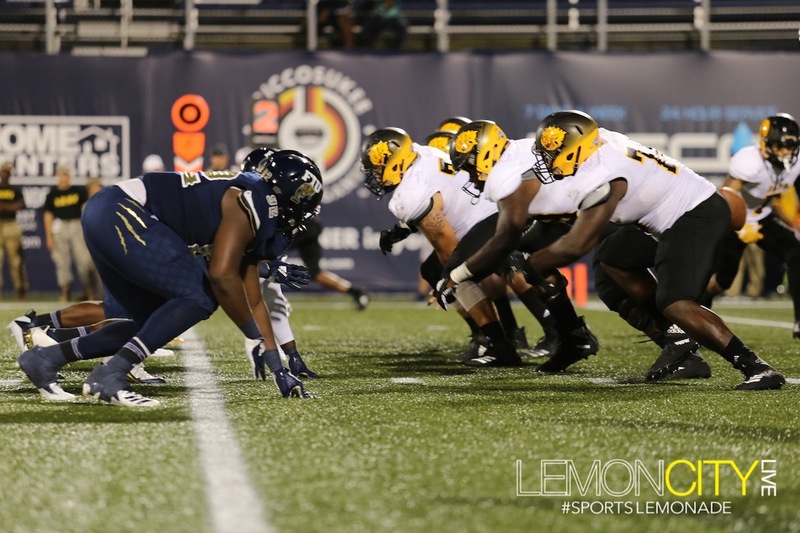 The Golden Lions entered the game losing five of their last six road games. 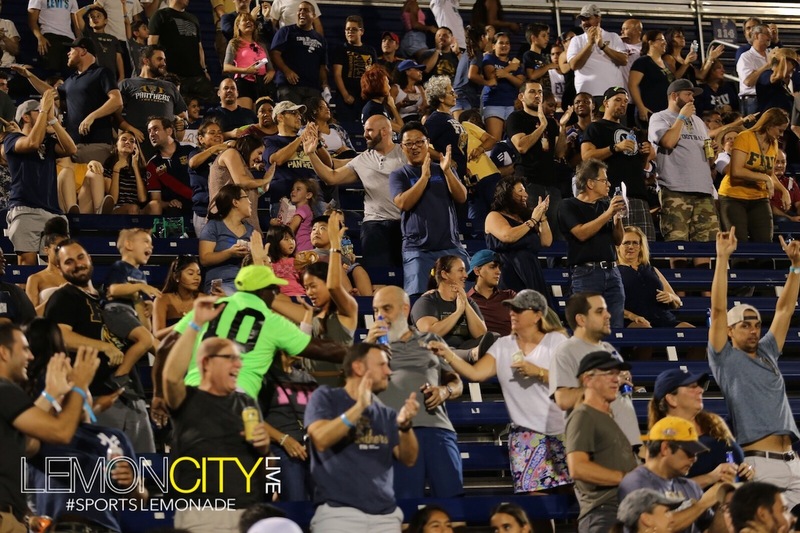 Excelling on both ends of the ball, FIU scored early and often treating fans at The Ricky (Riccardo Silva Stadium) to a high scoring spectacular. Arkansas-Pine Bluff received the opening kick-off, starting their first drive on a promising march all the way down to the red zone. They were held to a field goal. They wouldn’t score again for a long time. 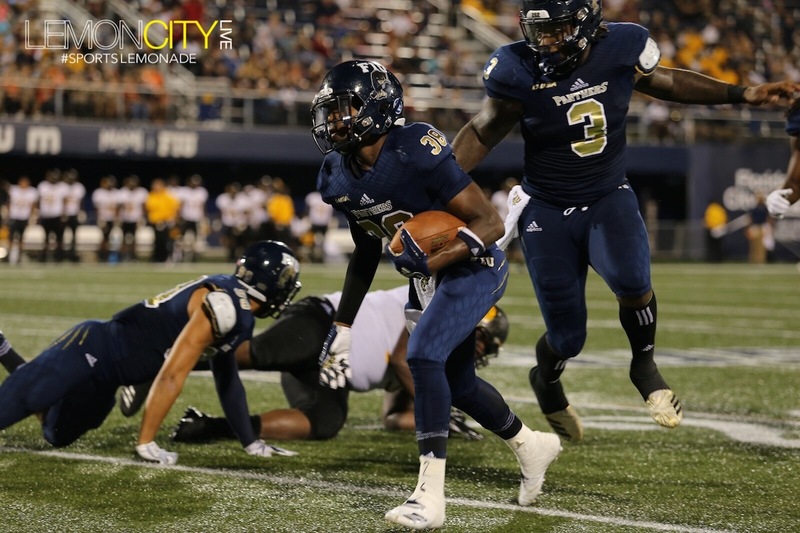 The blue and gold immediately took over with quarterback James Morgan tossing a 76-yard beauty to Maurice Alexander for the quick-six. 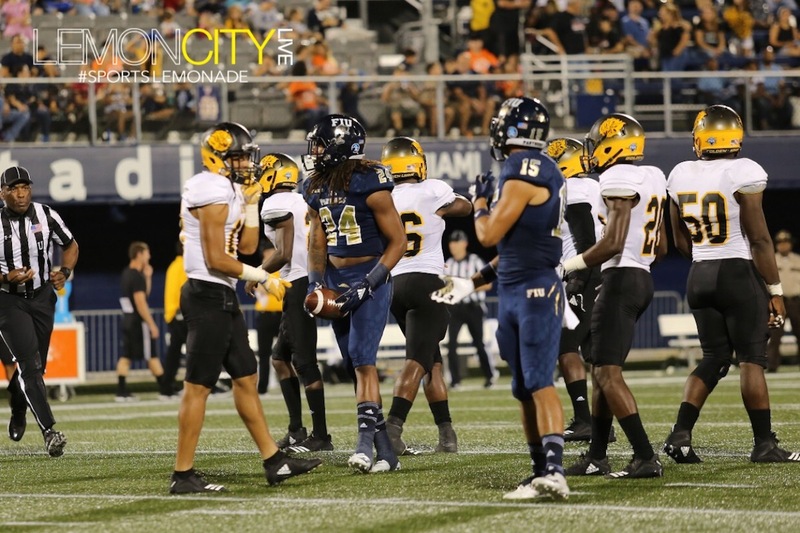 FIU’s D flexed its muscle with Richard Dames grabbing his first career interception on a 3rd and long in the 1st quarter, putting the home squad deep in enemy territory: the Golden Lion’s 9-yard line. 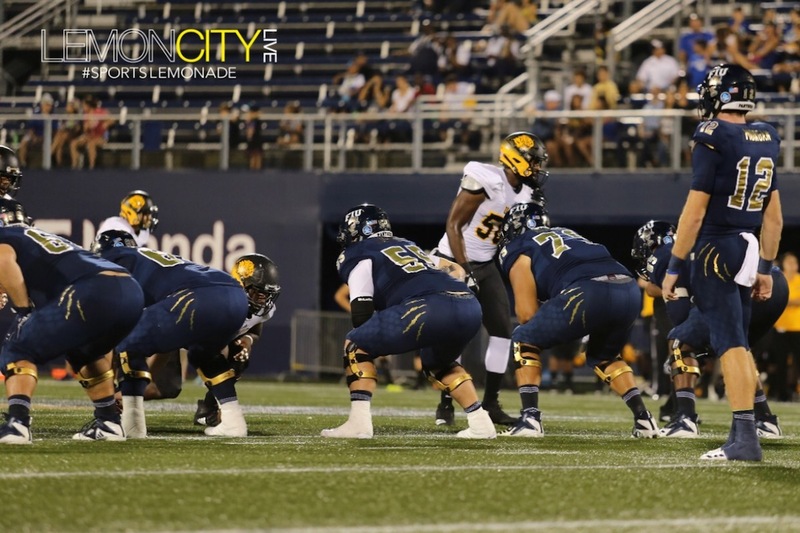 Florida International would also settle for three. 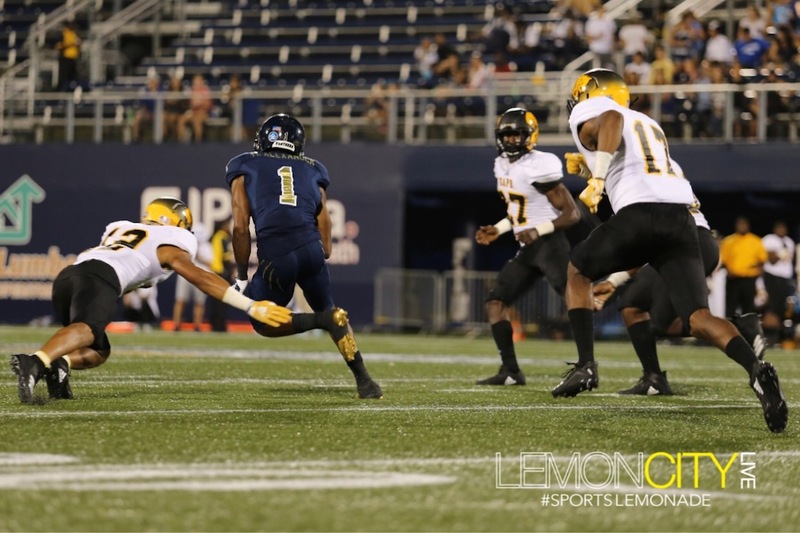 UAPB starting quarterback Skyler Perry was briefly knocked out of the game, forcing the Head Coach, Cedric Thomas to put in his WIDE-RECEIVER, Chris Robinson II to lead the offense. Perry, fortunately, was able to walk off of the field on his own power, although this ultimately made little difference in the outcome. Robinson completed both his passes for four yards. 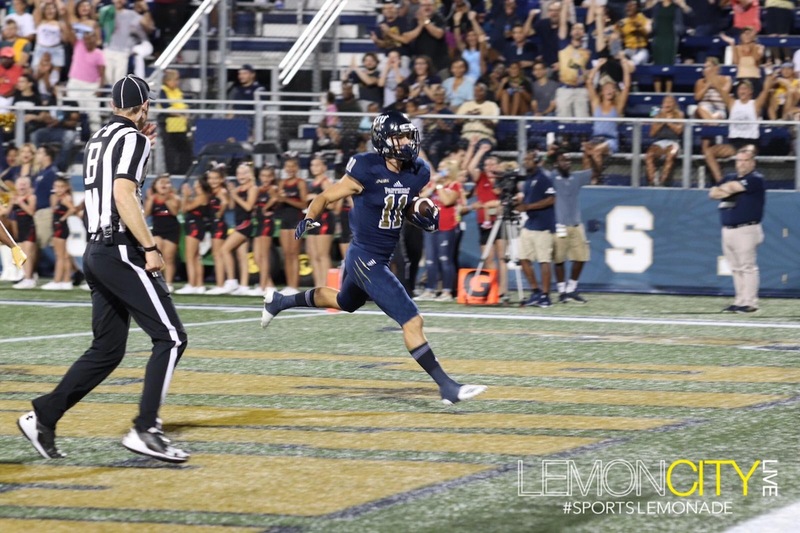 Late in the first, Captain Morgan hit CJ Worton in stride for a 52-yard bomb, putting FIU up two scores. If the 17-3 lead after the first quarter wasn’t convincing enough, the powers that be left no doubt on the following drive. 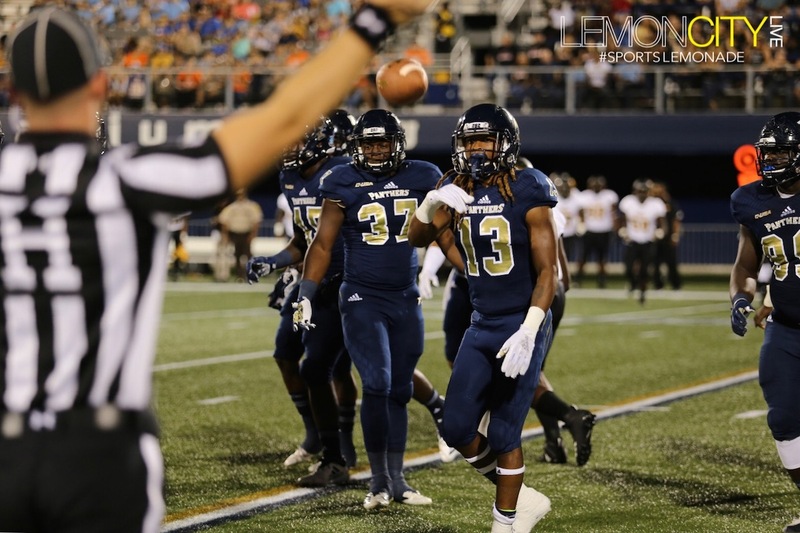 Perry returned to the game, completing a 41-yard pass to redshirt sophomore, Jeremy Brown only to fumble it at the FIU goal-line, resulting in a touchback and Panthers ball. It gets better, or worse depending on your perspective. With 13:23 left in the half, Morgan completed a 20-yard pass to Alexander who then fumbled at the Lion’s 43. The pigskin bounced once, only to be easily scooped up by redshirt junior Austin Maloney, who ran it home for six. A blatant display of the football gods’ favor. Butch Davis wasn’t just ordering air strikes, the ground game got in on the act with rushing TDs from both Napoleon “Dynamite” Maxwell and D’Vonte Price. 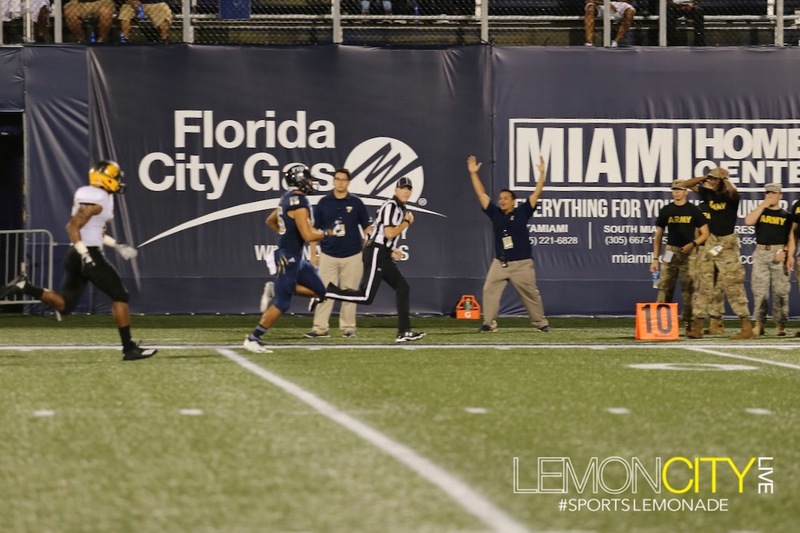 James Morgan @Jmoneyyy12 gives Cadarius Gaskin @1kgaskin his 1st ever TD for FIU! By halftime, the Panthers were the expected Alpha-Male, leading 38-3. 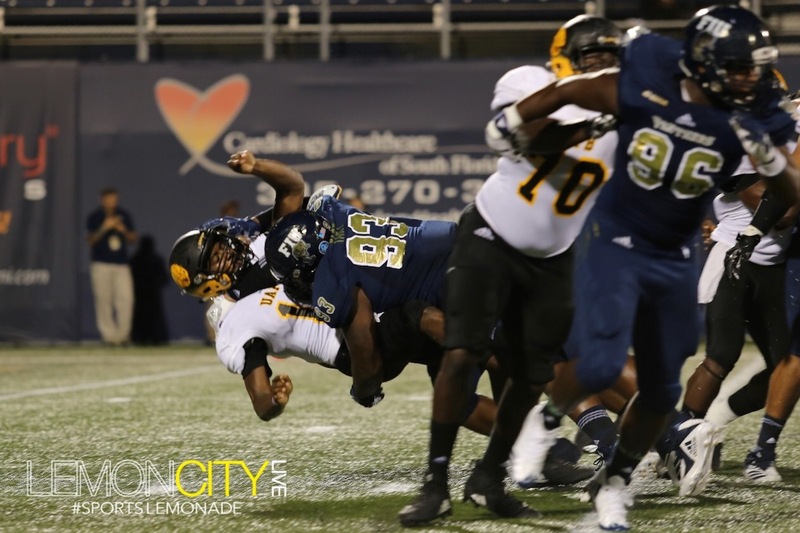 Riding high into the half, FIU had 366 yards on offense, double UAPB’s (181 total yards). 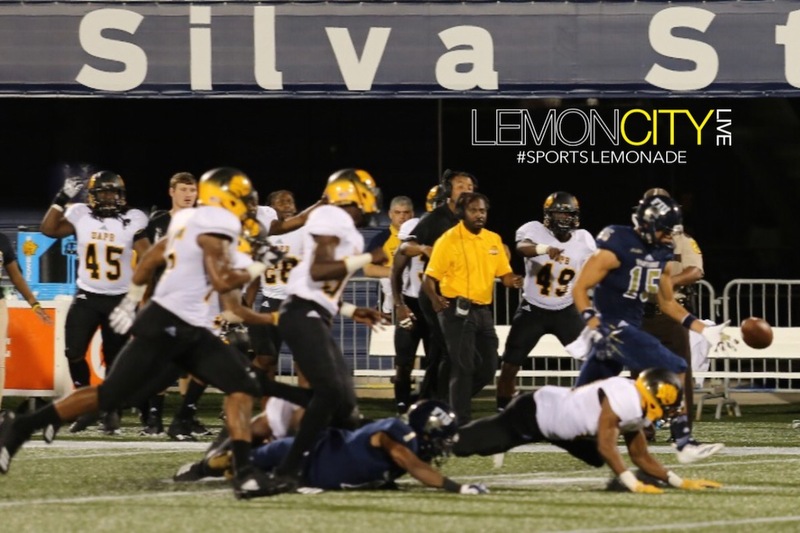 If that weren’t enough, The Golden Lions had almost triple the time of possession (21:08), highlighting the swift strikes of the Coach Davis’ offense, who clocked in at just 8:52. The second half showed more of the same, as the Panthers continued running up the score. Morgan finished the game completing nine of 14 passes for 341 yards and four touchdowns. Price rushed five times for 110 yards and two TD’s, while his teammate Maxwell rushed twice for 47 yards and a score to his name. Alexander led the Receiver Corps with five catches for 144 yards and a touchdown. Came back home and took care of business. The Panthers return home and defeat UAPB 55-9. 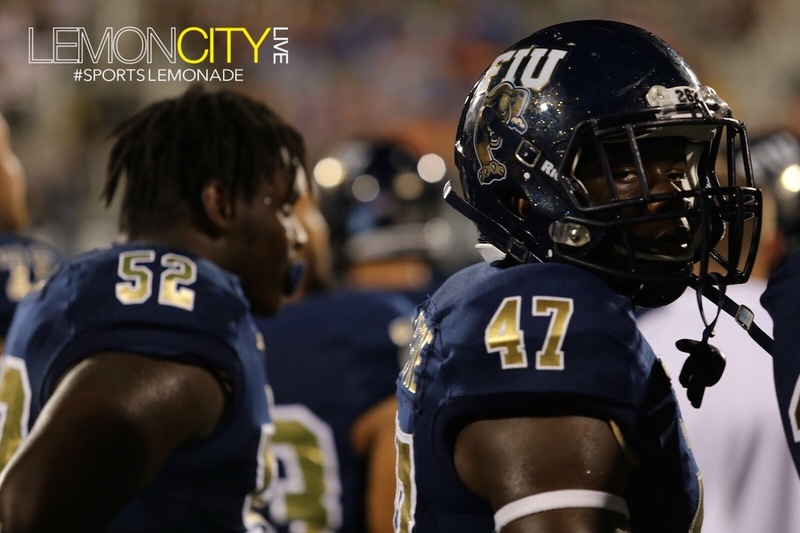 Overall, FIU churned out 613 yards on offense. 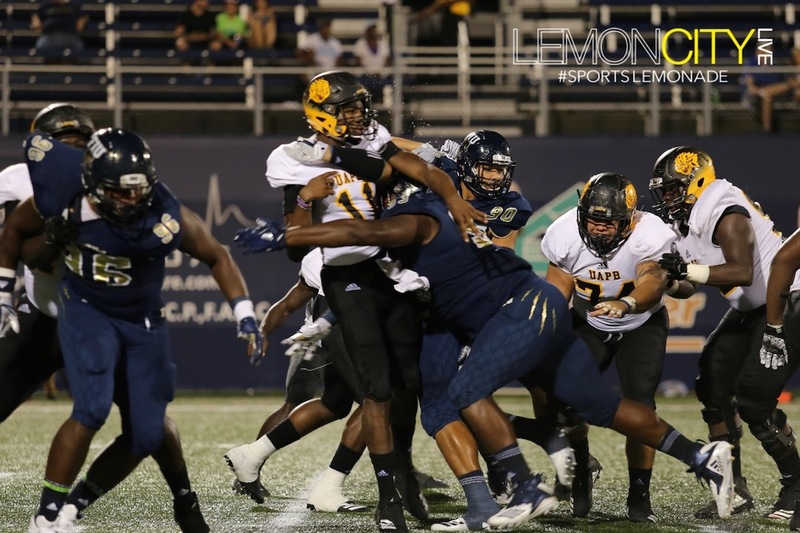 Meanwhile, the defense forced three fumbles, a sack, and an interception on the night. 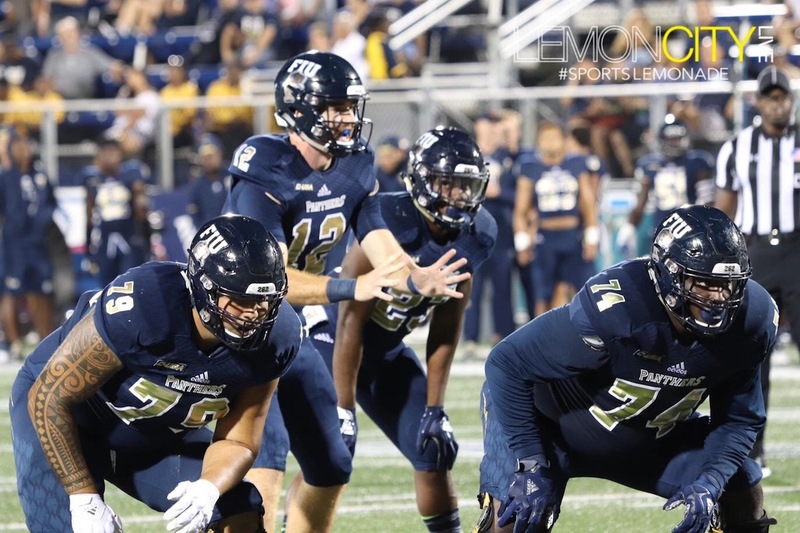 FIU improves to 3-2 (1-0 C-USA) while APB falls to 1-4 (0-1 SWAC). 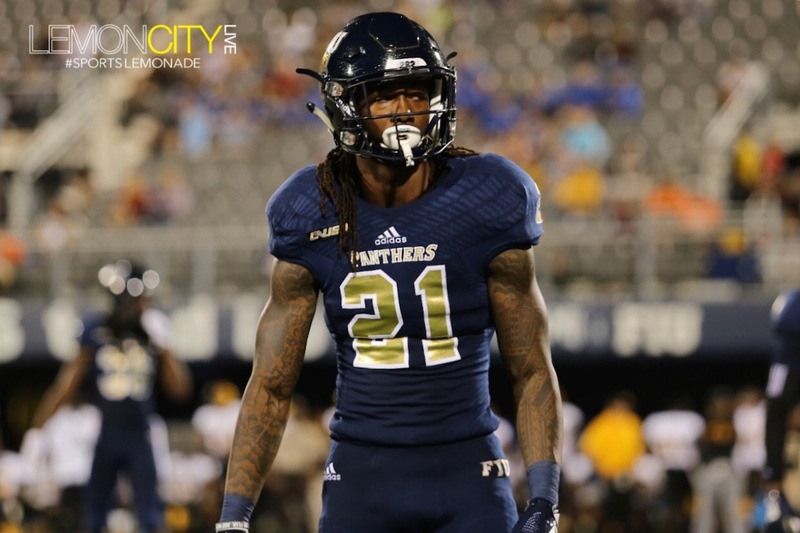 The Panthers continue their three-game homestand with Middle Tennessee on October 13, continuing conference play. 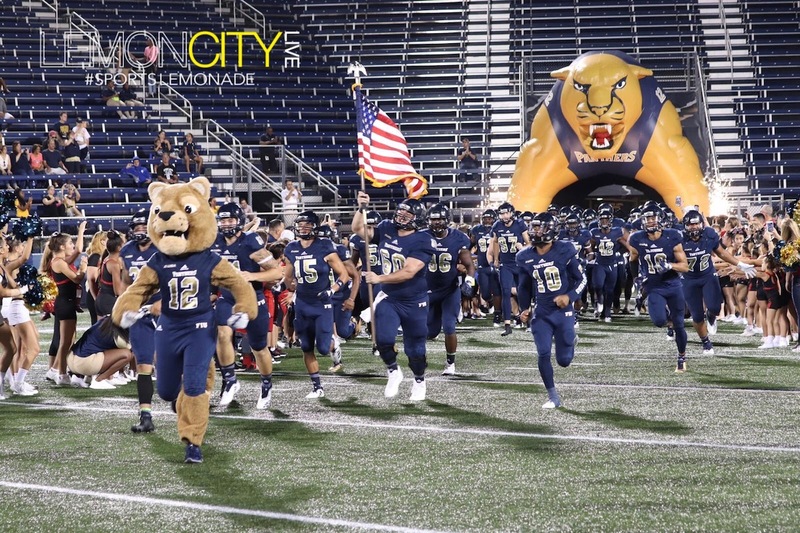 They host Rice the following week on October 20.